We have a long 30 year history of being one of the top and most competitively priced flooring businesses in Ware and Hertfordshire. 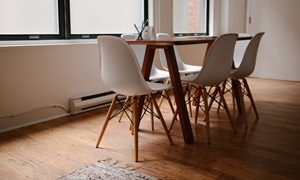 We supply and install every type of home and office flooring. 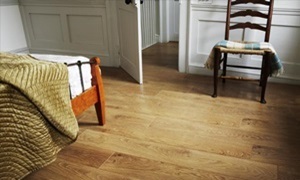 From synthetic and wool carpeting, laminates and vinyls to beautiful wooden floors in many different types of woods. From our showroom in Ware, Hertfordshire, we have a vast array of flooring supplies for all budgets. We deal with new builds, commercial and all domestic flooring requirements. If you are looking to replace existing flooring within your home, Byrver Flooring offer a friendly and knowledgeable service with many samples available for you to view within our shop. We do all types of commercial flooring for offices and shops, from communal walkways to wet rooms. Looking for the perfect floor covering for your home? We have a wide range of carpets ranging from hard waring commercial to all kinds of domestic patterns and styles. At Byrver Flooring our knowledge and experience of Solid, Engineered and Parquet flooring is second to none. 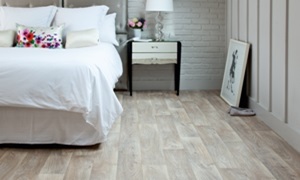 The easy clean properties of laminate flooring make it an ideal choice for busy homes. Suitable for various rooms including living rooms, dining rooms and hallways. Vinyl flooring is a practical and affordable flooring choice, a great option for those looking for a fuss-free functional floor for their home. Byrver Flooring offer a free pre-sale consultation and measure of the necessary rooms, professional advice and a wide range of products. As an established local business we have built strong customer relations over the past 36 years with our honesty, integrity and ability to make the whole process as stress free as possible. 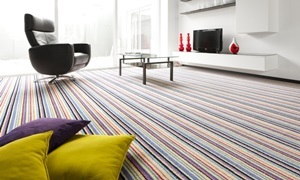 Please contact or visit us in Ware Hertfordshire to discuss all your carpeting, wooden, laminate and vinyl needs. Just had my carpet fitted and wanted to say a big thank you to the lovely team here. I only wanted a carpet in the living room so I can put my house on the market and they gave me a great price. When it got fitted I couldn’t believe how lovely it was! The team are so friendly. Thank you guys! I will be back! Our highly experienced team of fitters have the knowledge to deal with any project, no matter how intricate or challenging. Based in Ware, Hertfordshire, the name of Byrver Flooring has been synonymous with quality flooring supplies and installation for over 35 years.